Hello Friends! I hope you’re having a nice Monday, whether you’re on SPRING BREAK like us this week, or not! I thought I’d share some of the things we’re saying hello to today (and then also share a few dinners we’re having this week as well)! We have had the most glorious spring weather the last few days. 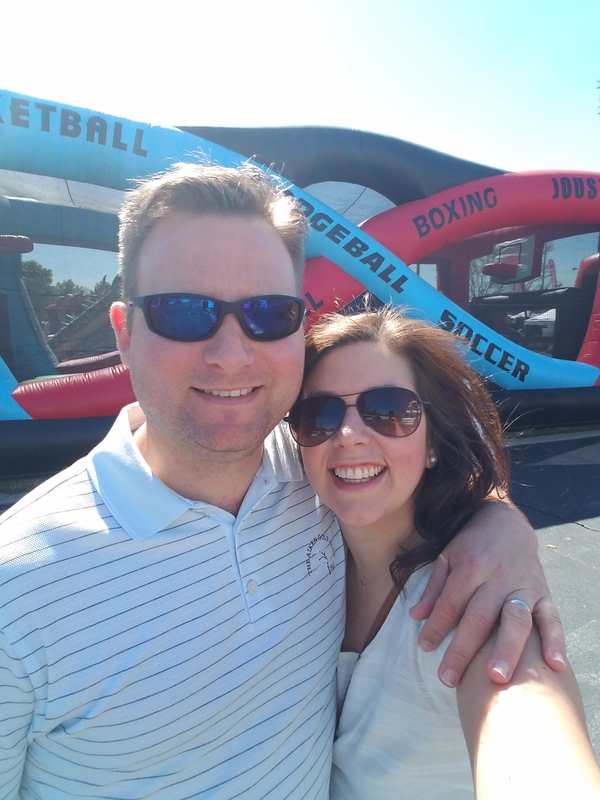 We were able to get out on Saturday and visit the Cherry Blossom Festival (though it was a *bit* windy, but still warm in the sunshine), and ate some good fair food (hello, funnel cake), and let the kids run around and burn off some energy. Then we went home and took naps, ha! We got out in the yard yesterday and start planting our annual family garden! 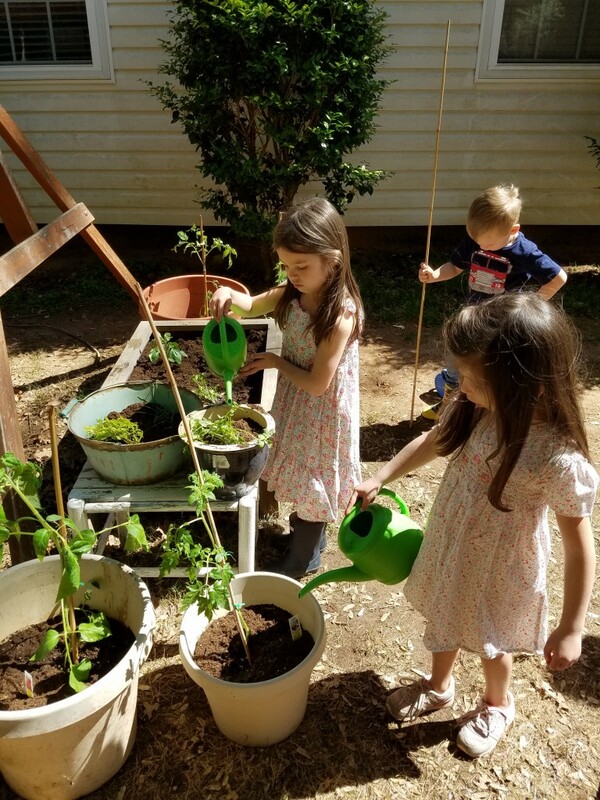 The kids got watering cans, gardening tools, and flower seeds from Bammy and PaDaddy for Easter, and so we planted flower seeds in the stone vessels in the front yard. Then I picked up some tomato plants, peppers and cucumber plants, and a variety of herbs, and we planted a little garden in the backyard. I can’t wait to see our fruits and veggies and herbs to sprout so we can use them in some yummy summer cooking. I’d love to add more to the garden in a few weeks as well! Love that it’s getting warm enough to put my boots away and break out the bare legs and sandals! Except that the white-ness of my legs would probably blind you, so I need to get out my self tanner too! I love big, hearty, heavy, warm meals during the fall and winter, but once the weather starts to warm up, I like salads and lighter fare for dinner. Lots of grilling, fish, fresh vegetables, and the likes so I am not cooking over a hot stove and in the oven so often! 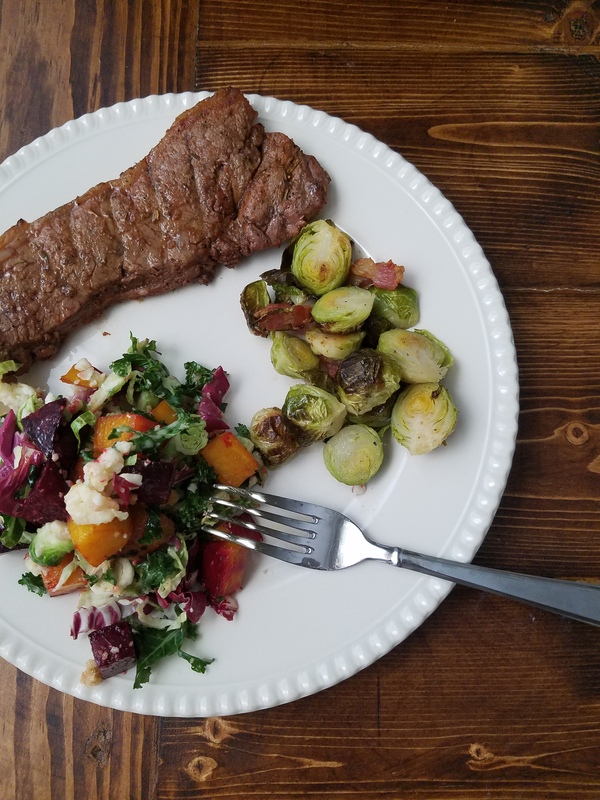 We especially love grilling on the weekends, and had some great steaks with a kale and roasted beet salad, and roasted brussel sprouts on Saturday night. I could eat a kale salad like that every day, and plan on making lots of entree salads for dinner in the upcoming weeks! I made this last night as an easy meatless dinner, and it did not disappoint! 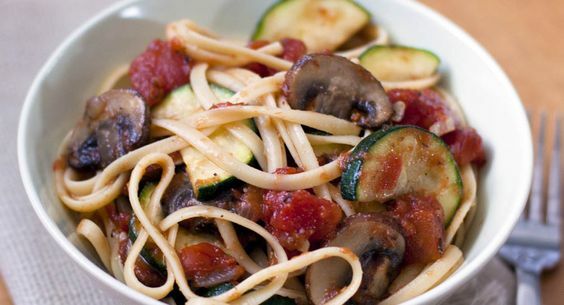 I love a good spaghetti with meat sauce, but I did not miss the meat one bit when you add in zucchini and mushrooms and an easy tomato sauce. Instead of buying a jarred pasta sauce, you buy canned tomatoes (I bought a big can of crushed tomatoes, a can of garlic-basil diced tomatoes, and a small can of tomato sauce), and then adjust the seasonings and herbs to your liking. I love this idea because you can make the sauce to suit your own taste, and when those tomatoes and herbs start really producing in the garden this summer, I will chop up all the fresh veggies and add them right in! It was very good and took no time at all. I love tacos, but I get tired of the typical rice and beans on the side. So when I saw this recipe for Mexican street corn nachos, I thought YES- that is the answer! We are eating this tonight, and I would be lying if I didn’t say that I am SO excited for dinnertime. I love this idea! I have been wanting to make these peppers for a few weeks, and decided it would be a quick and easy dinner for this week. All the fixins of a philly cheesesteak- the roast beef, the onions, and the yummy cheese, all stuffed into a green pepper. We’re having some fries on the side to make another easy meal for our spring break week. So that’s it for me today…hope you have a great start to your week!